Beacon Court. I have such a passion for nurturing and educating children and am highly qualified in childcare. I hold a number of childcare and special needs certificates, alongside my Diploma in Management. 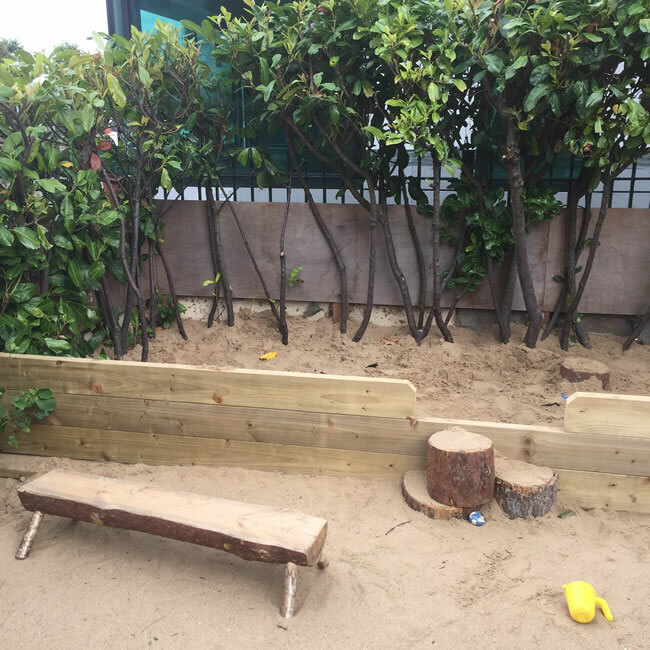 Over the past ten years I have worked my way up from Early Years Educator to managing two large, established childcare centres in South Dublin. My experience means that I have built up extensive knowledge in every aspect of running a childcare facility, from working with Tusla and other child authorities regarding safety and compliance, to caring for children of all ages. I fulfil many roles on a daily basis and so have developed many skills which I bring to work each day. My main goal is always to make our crèche a happy and welcoming place for children, parents and staff. Having a two-year-old child of my own, I feel that I now look at the industry from both a mother’s point of view as well as from a professional perspective, adding yet another dimension to my managerial style. 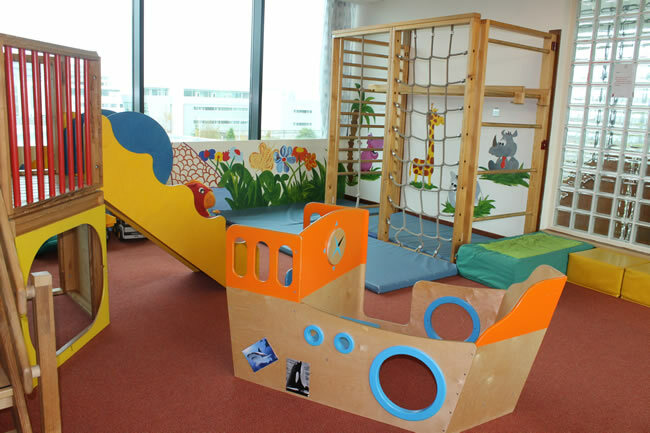 Expansive yet intimate, Our Beacon Court creche is spread out over three floors. The sense of space is hard to convey until you step into reception where you will get to meet Nemo and his friends in our tropical fish tank – naturally a big hit with the little people. As well as the spacious, specially designed rooms that nurture independent learning at every age, we are also lucky to have our special ‘Rompus Room’. This fantastic indoor play area is without doubt, the most popular room in Beacon Court – a space where children can climb and even ‘swim’ in their very own ball pool! Speaking of movement, our children at Beacon Court also enjoy JUMP Programme once a week and they just love finding out what Coach Eamonn has in store for them. From our tots to our pre-school children, Eamonn adjusts the our unique sports and fitness programme to the children’s stage of development and helps them to develop important skills. Did we mention that JUMP class is also super fun?! And all that movement works up an appetite so we can’t forget to mention our amazing chef team at Beacon Court who prepare nutritious and delicious meals for the children, as well as a range of healthy, tasty snacks. Sometimes our lovely chef will even prepare something nice for lucky our mummy and daddies! Beacon Court really has everything your child needs and wants…and more. That has always been the Park Academy Childcare way. Arrange a viewing today and see for yourself all that this fantastic centre has to offer! Drew has been with Park Academy since he was six months old…it’s so inviting, the team are amazing…He’s four now and has already asked can he go to ‘Big School’ in Park Academy” – Maria McArdle, Parent. I would highly recommend Park Academy to even the fussiest parents – you won’t be disappointed!” – Maria McArdle, Parent.